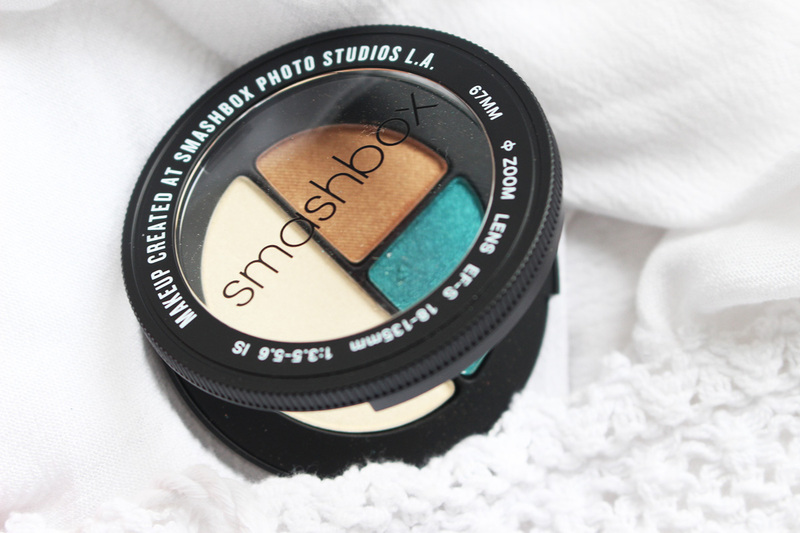 I haven't tried much from Smashbox, so I was really looking forward to giving these a go. 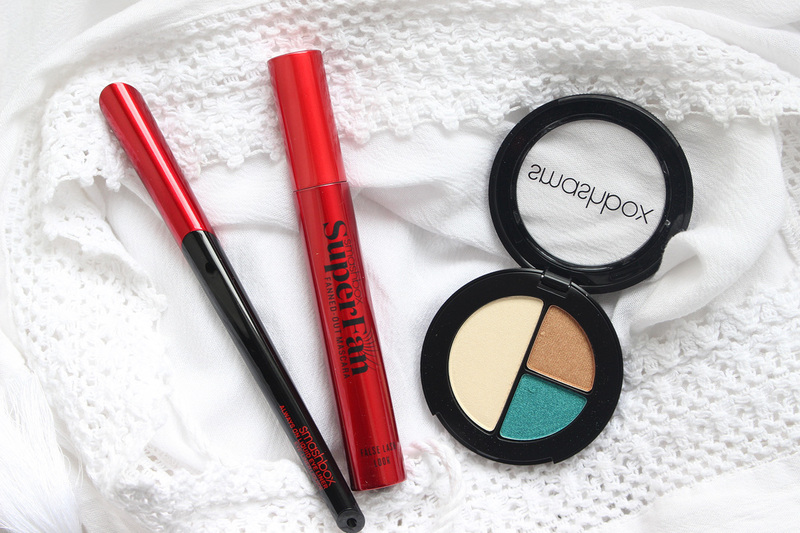 A perfect trio for a simple makeup look with a pop of colour. I adore the mascara and liner so much, they have been my go to in 2018. 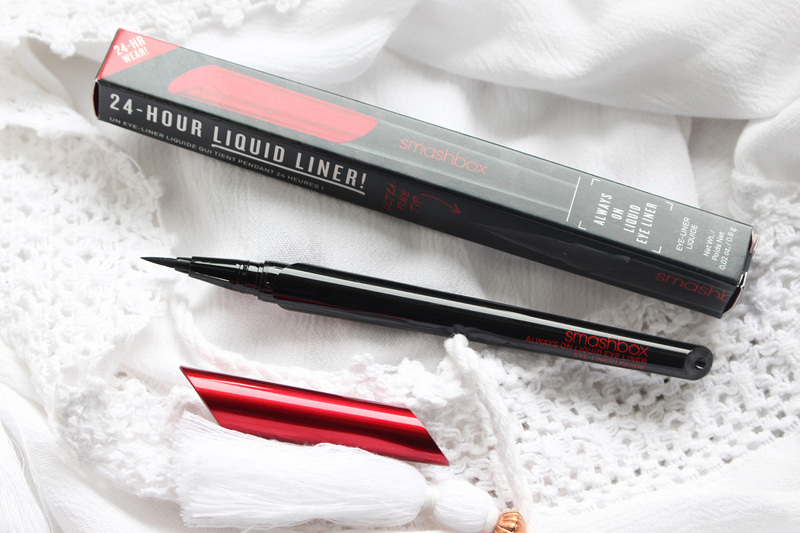 I am usually a fan of liquid liners with a fine brush, but I am currently using a few felt tip ones and this Smashbox Always On Liquid Liner* (£19.00) one is really good! Jet black, with a fine tip and a great waterproof formula. It's super easy to use and I can draw thick and thin lines with it with maximum precision, as it goes on smoothly without tugging. Once it's on, it will stay put all day (it's meant to be a 24h formula), won't flake or smudge and claims to be sweat and humidity resistant too. I can confirm that it lasted all day during the Summer heatwave. The Photo Edit Eyeshadow Trio*(£20.00) comes in really cool lens inspired packaging, which appeals to me, as I love photography. 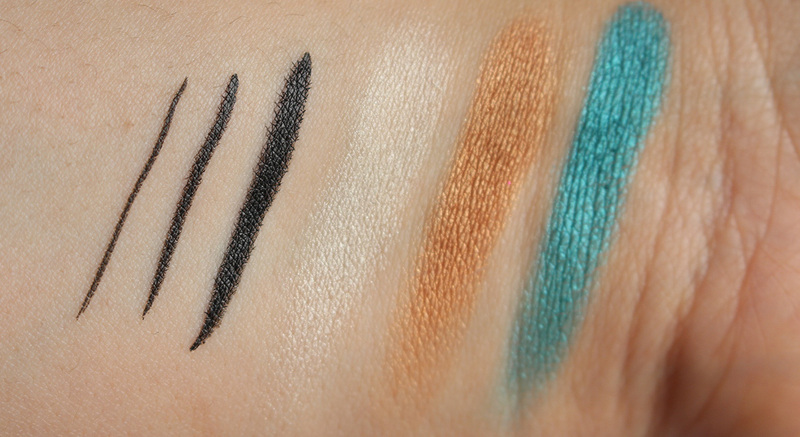 There's three gorgeous shades inside: Pool Boy (light beige, satin finish), Gold Sunnies (medium gold, frosted finish) and All The Teals (teal with a metallic finish) The lightest shade is bigger than the other two, as you will definitely use more of it. Nothing worse than hitting pan on the lightest shades in a palette! All the shades are nicely pigmented and I find them easy to blend, but they're not as good as Urban Decay (my favourite eyeshadow brand). The fallout is minimal (mostly on the beige shade) and they last on me all day, not sure how these would perform on those with oily eyelids. 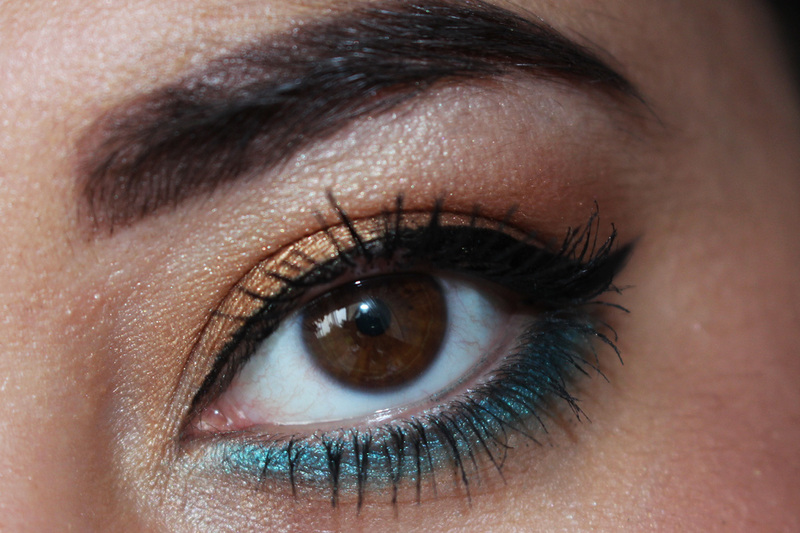 I personally love this colour combo (On Location) for a neutral look on the top lid with a pop of colour under the lower lash line. 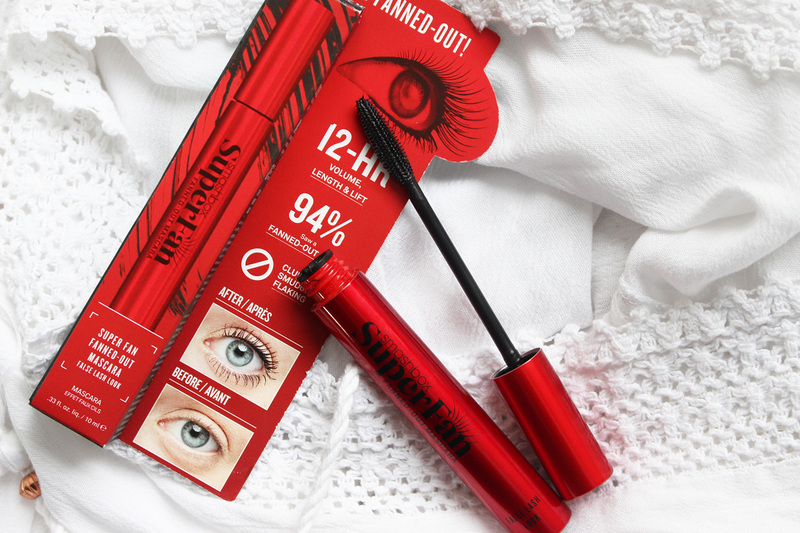 And the star of the show, the Smashbox Superfan Mascara*(17.50). 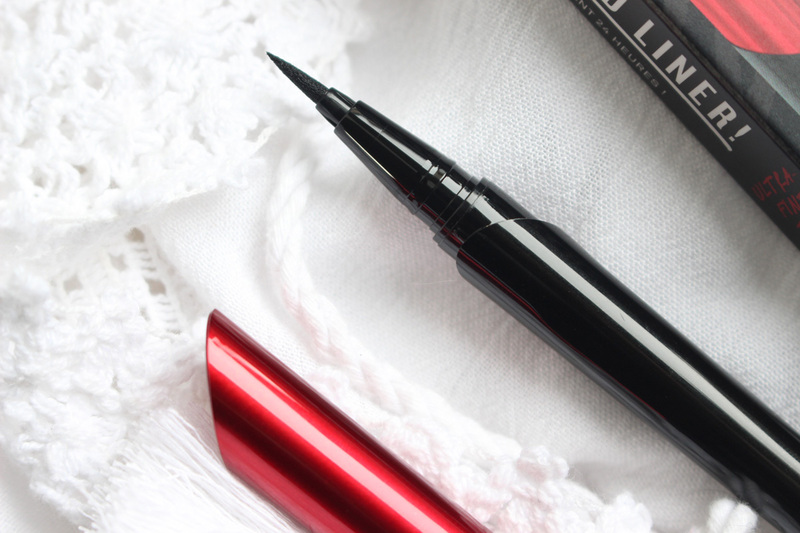 It's a lengthening jet black mascara, which also provides volume and a nicely fanned out look . It feel light and you can build up a few layers without it clumping. Obviously if you build up too many layers, then it will start clumping - I like thick lashes so I use a few coats and have to be careful not to overdo it (I tend to overdo it every day, haha). I find this formula extremely long wearing and it doesn't budge on me at all for the full day! The makeup look is super simple. 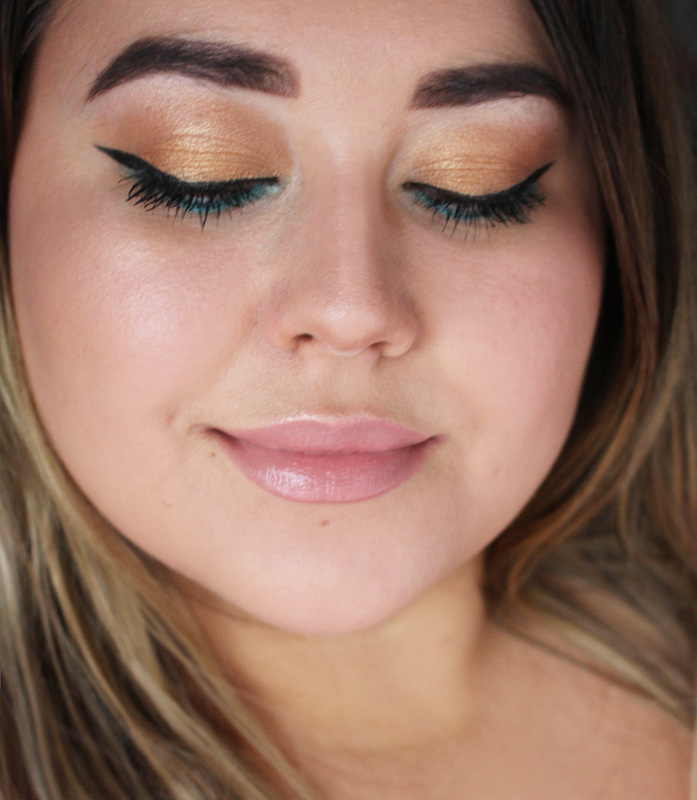 I applied the golden shade allover the lid and blended it out in the crease, added the light beige under the brow bone and in the inner corners and used a small brush to apply the teal shade under the lashline and blended it out slightly (not too much as I wanted the colour to stay bold). 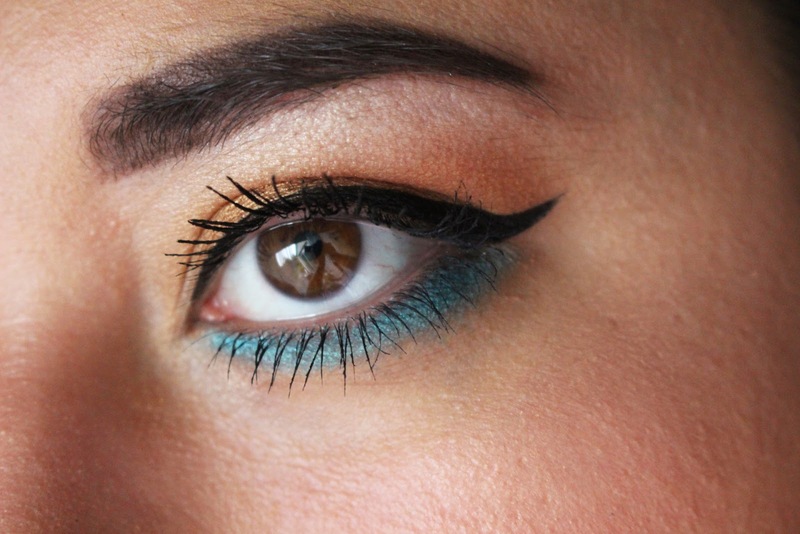 Black flick with the liquid liner and lashings of mascara and you're done! So simple! Overall, I really enjoy using these three Smashbox products, but I do think the price could be a bit cheaper to appeal to more budgets.